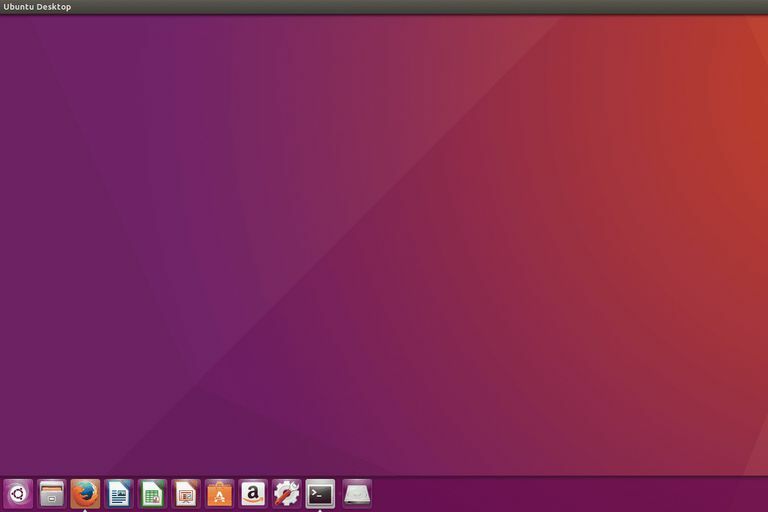 As of Ubuntu 16.04 (Xenial Xerus), it is now possible to move the location of the Ubuntu Launcher from the left-hand side to the bottom of the screen. The Unity Launcher can be placed either on the left of the screen or at the bottom. It is still not possible to move it to the right side of the screen or indeed the top of the screen. To move the launcher to the bottom open a terminal window by pressing CTRL, ALT, and T on your keyboard. Alternatively, press the super key on your keyboard and search for term in the Unity Dash search bar and click the terminal icon when it appears. You can type the command straight into the terminal, watch it work and then forget all about it. The manual page for gsettings says that it is a simple command line interface to GSettings (brilliant, thanks for that). In the case of the Unity Launcher the command is set, the schema is com.canonical.Unity.Launcher, the key is launcher-position and finally the value is either bottom or left. You might be curious to know what other schemas there are. The list returns results such as com.ubuntu.update-manager, org.gnome.software, org.gnome.calculator and many more. You can replace com.canonical.Unity.Launcher with any of the schemas listed by the list-schemas command. You can use the get command to see the current values of the other items. Each item in the favorites matches the icons in the launcher. We don't recommend using the set command to change the launcher. It is much easier to right select and remove icons and to drag icons to the launcher than use the command line. The writable command will tell you if a key is writable or not and simply returns "True" or "False." It might not be obvious the range of values that are available for a key. For instance, with the launcher position, you might not know that you can choose left and bottom. The output in the case of launcher position is 'Left' and 'Bottom'. It certainly isn't a recommendation for you to start listing all the schemas and keys and messing with the values but it is important when running terminal commands that you know why you are typing a command into the terminal.